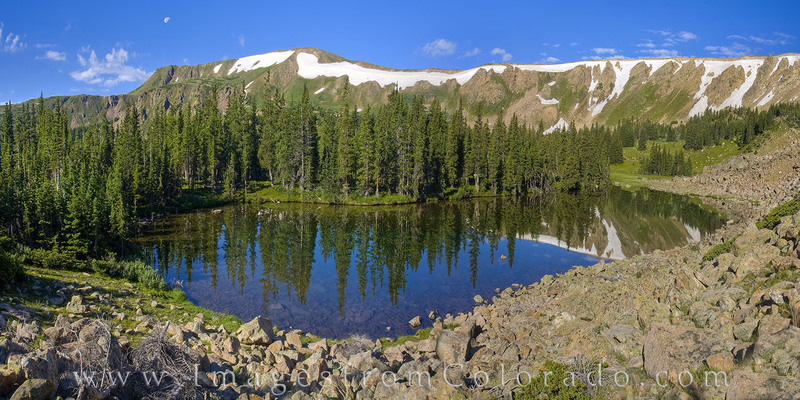 Off the beaten path high up on Berthoud Pass near Winter Park, Colorado, I came across this lake. I could not locate its name on any maps, so perhaps it is unnamed. But on this morning, the water was clear and smooth, offering a glass-like reflection of the ridge in the distance. Photo © copyright by Rob Greebon.